One of my goals in Early Modern Aesthetics is to consider sources that are often overlooked in other histories of aesthetics and in general accounts of the philosophy of art during the seventeenth and eighteenth centuries. Some of the texts I’ve been reading over the course of the last few months have been fascinating (Diderot, Lessing), while others have been very challenging (Mersenne, Rameau). Many of them are available online, so I’ve posted links to primary texts and English translations below. Enjoy! This spring I’ll be teaching the senior seminar for St. Mary’s philosophy department. 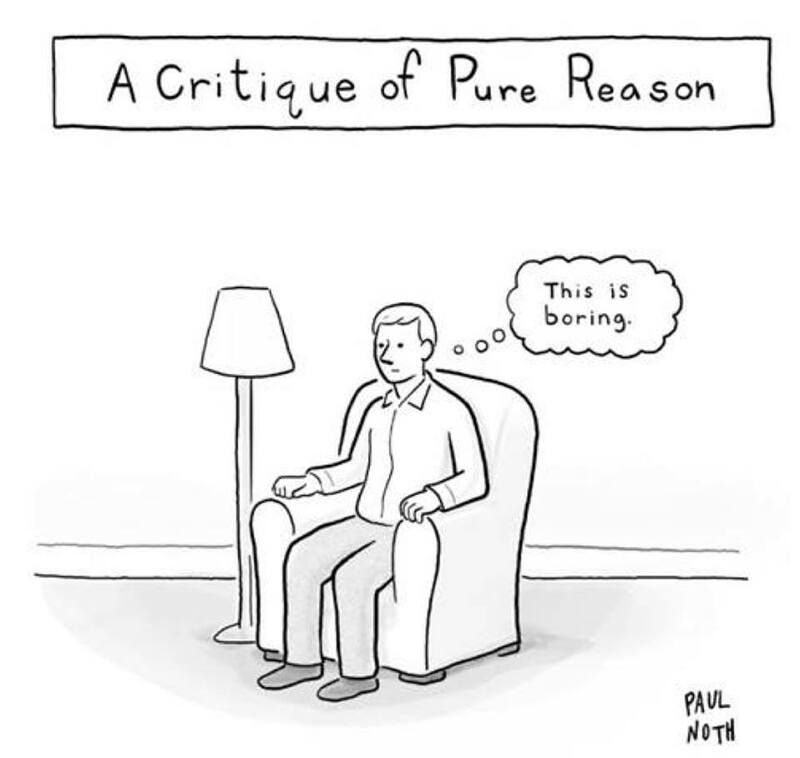 I was considering requiring students to follow some philosophy blogs during the semester, to help them get a sense of what philosophy is like as an academic discipline. Recent events have led me to believe that would be a very bad idea. While there are many excellent philosophical blogs that would be appropriate for students to read, and it’s beneficial for students to understand the institutional conditions that affect philosophical discourse and practice, I don’t think the blogs dealing with professional issues would leave students with a good impression of the discipline. I want my students to see philosophers at their best, thoughtfully discussing important issues and treating their interlocutors with consideration and respect, even when they disagree. I’m afraid they’d see philosophy and philosophers at their cyber-bullying worst if they started following our professional discourse online. Most of the posts on this blog are updates about my activities, rather than substantive discussions of philosophical and professional issues. That hasn’t always been the case and might not always be the case in the future. So, as a reference for myself, I’m going to link to 1) the page on the psychology of philosophy at Feminist Philosophers; 2) the comments policy at Daily Nous; 3) Carrie Ichikawa Jenkins ‘Day One’ post; and 4) David Chalmers’ guidelines for respectful, constructive, and inclusive philosophical discussion. I think these pages are useful reminders of the kinds of things I admire about philosophy and philosophers online. So far I’ve seen two reviews of the Bloomsbury Anthology of Aesthetics (2012), which I co-edited with Joseph Tanke. The first, by Elizabeth Millán of DePaul University, was published in CHOICE. The second, by Yves Laberge of the University of Ottawa, appeared recently (in French) on the website of the Canadian Society for Continental Philosophy. Both reviews are generally very positive, though they include some reasonable criticism of the brevity of the introductions and the lack of clarity about some of the publication dates. Joseph and I have just submitted a proposal to Bloomsbury outlining the changes we’d like to make to the second edition, so the reviewers’ feedback has been very helpful. Please let me know if there’s anything you’d like to see changed in the anthology! 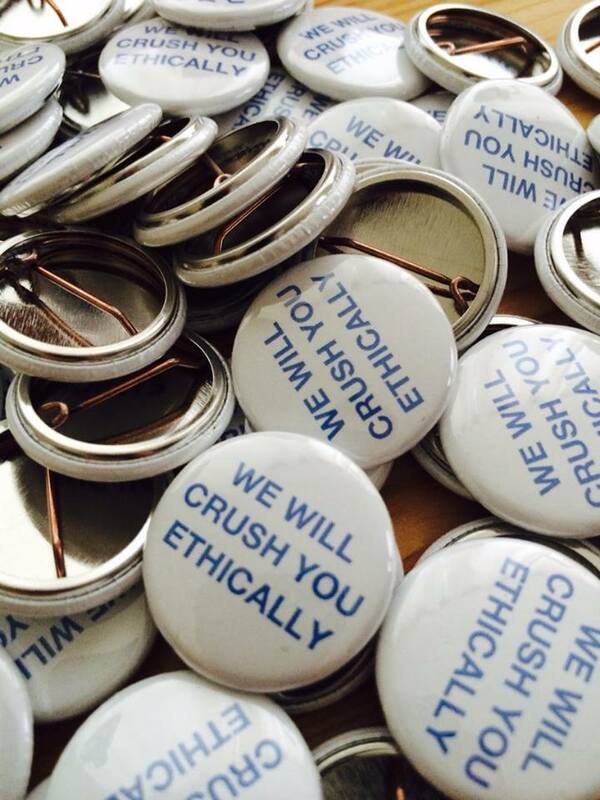 I’m coaching St. Mary’s ethics bowl team this year, so I made these pins for the team. They’re meant to be ironic and funny. I do not actually support crushing anyone. But, if I did, only the most ethical crushing would do.